A daughter’s love is what drove her to ride 100 miles for her mother’s fight against breast cancer. 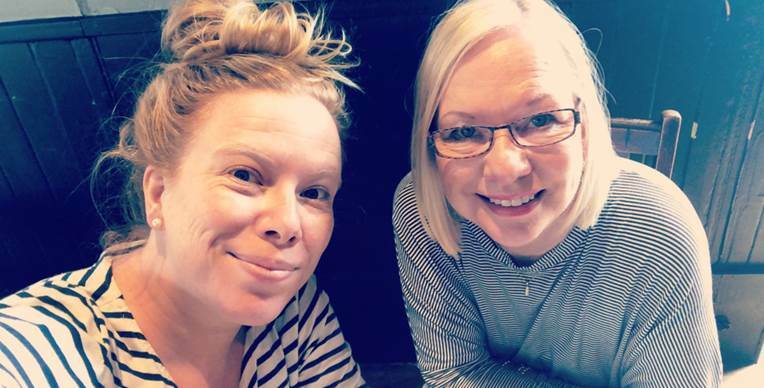 Emma Boyle of Connah’s Quay embarked on this journey when she learned that her mother Carol was diagnosed with breast cancer – again. Almost three decades ago, Carol was diagnosed with breast cancer. She successfully won over the big C by undergoing Radiotherapy and Surgery. She was given a clean bill of health shortly afterward and never looked back. The only thing that reminded her of her ordeal is the scar from the surgery. Back then, Emma was only 6 years old. She vaguely remembers how her mother triumphed over the disease. Meanwhile, Carol moved on and lived her life as any survivor should. No one thought that Carol’s cancer would ever come back. After all, she was able to live through her 40s and 40s without any serious health problems. This is why it was such a surprise when during a routine mammogram, was told she had cancer on both breasts. Not long after, she had a single mastectomy and started a round of oral chemotherapy. A good lesson to learn from Carol’s story is that despite being cancer free for decades, she still goes for routine mammograms. This time, there was no discharge, no lumps no uneven breasts – Carol had absolutely no inkling that she was sick. Both Carol and Emma shudder to think what could have happened had she not done for her mammogram this year! Whether you’re a survivor or not, it is very important to get regularly checked by your physician. This is especially true for the high-risk population made up of women with a strong family history of breast cancer. Emma was also quick to point out that there have been so many advancements in breast cancer treatment today compared to three decades ago. This is why she is donating 100% of her profits to the Breast Cancer Now foundation. The BCN is at the forefront of funding vital breast cancer research and providing assistance to survivors and their families. Emma, an avid cyclist, hopes to motivate survivors by letting them know that there are people like her that cares for their wellbeing. In turn, survivors inspire Emma to continue training hard. Visit Emma’s Fundraising page here.